Blacks Brokers are delighted to bring to the market this profitable and beautifully presented coffee shop and flat in the town centre of Southport. Coffee Bean has been trading from its Market Street location since 1984 and has been a family run business, building up a superb reputation and customer base. 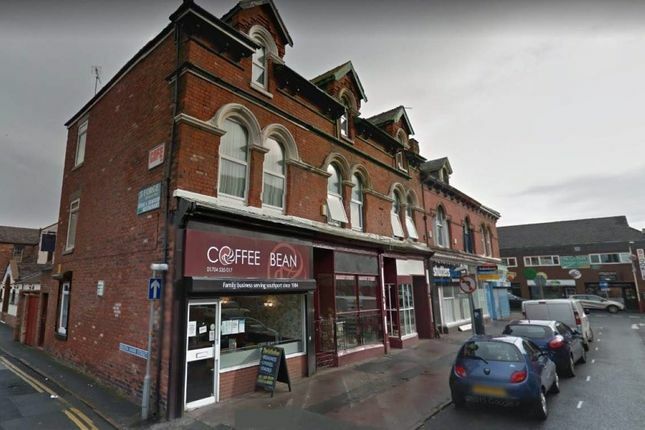 Our client comes to offer for sale in order to retire and due to family commitments, thus creating a wonderful opportunity to purchase this very busy and well know coffee shop business and owners living accommodation – which is finished to an exceptional standard. The business and flat is housed within a corner plot at the end of a row of shops. It is close to Southport indoor market with large multiples nearby. The business is well branded and presented externally with lovely, clear signage and a single glass fronted entrance. Internally, the seating and serving area is spacious and exceptionally well presented offering 40 covers. To the rear is an open plan kitchen with washing and preparation area. The business is fully housed within the ground floor. On the first floor is the owners 2/3 bedroomed living accommodation. The main bedroom has gorgeous, fitted furniture and a good amount of space. The modern kitchen is fully fitted to a high standard and is of high quality. Additionally there is a fully tiled and fitted bathroom suite with bath and shower enclosure. The accommodation is self contained however you are able to access the premises from the rear of the business premises . The business has strong weekly takings with high gross profits with an exceptional location close to the busy town centre. This business would ideally suit an enthusiastic hands on owner who could push the business on, extend opening hours and potentially offer more services and products. Early viewings are advised to avoid disappointment. Property descriptions and related information displayed on this page, with the exclusion of Running Costs data, are marketing materials provided by Blacks Business Brokers, and do not constitute property particulars. Please contact Blacks Business Brokers for full details and further information. The Running Costs data displayed on this page are provided by PrimeLocation to give an indication of potential running costs based on various data sources. PrimeLocation does not warrant or accept any responsibility for the accuracy or completeness of the property descriptions, related information or Running Costs data provided here.